The AskRail® app is a safety tool for first responders. The #AskRail app, launched in 2014, is a collaborative effort among the emergency response community and all North American Class I railroads. The app provides more than 25,000 first responders — from all 50 states and eight Canadian provinces — with immediate access to accurate, timely data about what type of hazardous materials a railcar is carrying so they can make an informed decision about how to respond to a rail emergency. For security reasons, only qualified emergency responders who have completed rail emergency training sponsored by one of the Class I freight railroads or at the Security and Emergency Response Training Center (SERTC) can download and use the restricted features in the AskRail app. In addition, railroads can offer the app to known emergency responders along their routes. Download the app from the Google Play Store, the Apple App Store, or download the Windows Desktop Application by clicking the icons below. Complete the registration process in the app on your device. You will receive an email notification once your registration has been approved. The approval process may take up to several weeks. Once you have been approved to use the app, the app will become fully functional and ready for use. IMPORTANT NOTE: Only emergency responders who have completed rail emergency training sponsored by a Class I railroad or SERTC will be granted full access to the app. 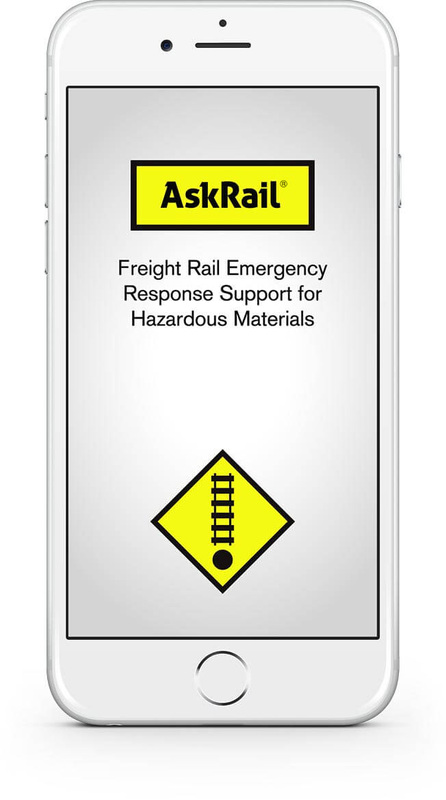 Users should only use the AskRail app for training purposes and when responding to a rail incident. When using the AskRail app at the scene of a rail incident, users should try to secure the most up to date, federally-required shipping papers (consist) directly from the train crew or the railroad. Users should periodically launch the AskRail app to check for version updates and download the new version if available. Please do not send any other communication to these email addresses other than requests to use the AskRail app. Please note that Amtrak is not included on the contact list because they do not approve access to the app. AskRail is a trademark of Railinc Corp. and the Association of American Railroads. Copyright © Association of American Railroads.